Ladies and Gentlemen, now that I am an industrial lawnmower kind of guy, I need hearing protection. So I bought (and exchanged a defective unit as aforementioned or aaftmentioned depending on whether you read daily or not) hearing protection. They even come preset to the Dana Show (look at the photo of the LCD radio setting, it’s 97.1 FM, which is the talk radio station in St. Louis, he explained parenthetically). Why do I say it defeats its own purpose? 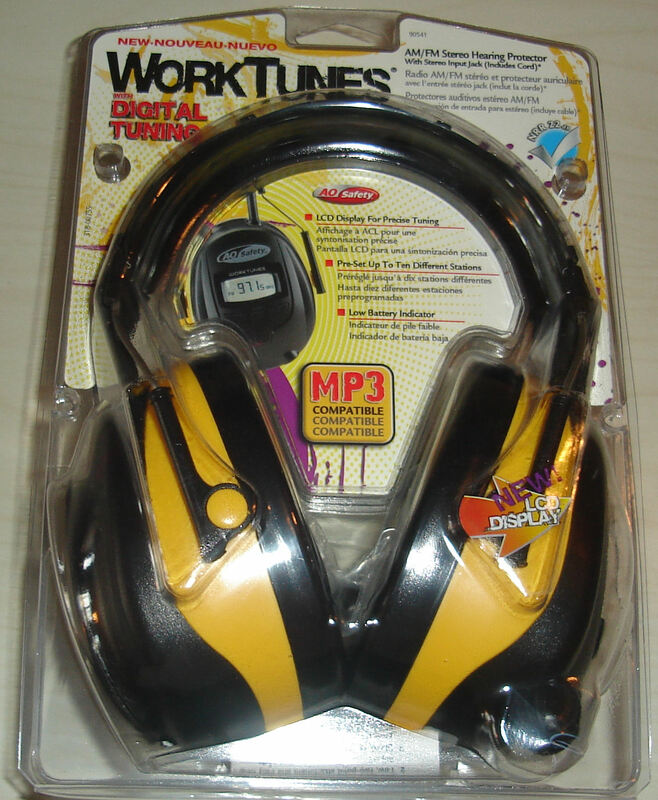 Because it’s designed to protect your hearing from the lawnmower’s decibels. However, if you’re listening to a rock station, you’re likely, if you’re like me, to substitute the lawnmower’s decibels for Metallica’s decibels. Which ultimately doesn’t protect your hearing at all. Maybe its purpose is to not to protect your hearing, but to destroy your hearing in a more enjoyable fashion. A while back, my wife told me that the baby was crying and I should solve the problem. So I put on my shooting earmuffs. After that, I could barely hear the toddler. But it turned out to be the wrong answer, and I got in trouble. It’s like Occam’s Razor. That’s efficiency.